Credit: By Yutaka Tsutano on Flickr. Some rights reserved. Leeds Trinity University College plans to issue iPhones to its cohort of postgraduate diploma broadcast journalism students on arrival in January. The iPhones will support reporting, particularly during a newsgathering-focused project, to be run in the first 10 weeks of the course. Course leader Richard Horsman told Journalism.co.uk that the course does "try and keep ahead of the curve whenever we can in terms of bringing innovation in the ways of doing things". He added that in terms of ensuring students are equipped with the "timeless" journalistic skills necessary, they will focus the first 10 weeks of the course on newsgathering. For this they will be expected to use the iPhones to report and gather "audio, still photography, simple video clips", he said, as well as being expected to "tweet and liveblog as appropriate from events". During this time all the students will be "working first and foremost towards a central website". After the 10 weeks the course will focus more on specialisms, such as in television and radio. Students will receive specific training in mobile reporting, such as from John Baron, who previously ran the now-closed Guardian local project in Leeds, and members of the online team at the BBC. But there will also be a degree of "making it up as we're going along", Horsman added, with new ways of working and apps expected to be discovered along the way. He added that if the course has a "compact cohort", the iPhones should be issued on the first day, remaining in the students' possession for the duration of the course. 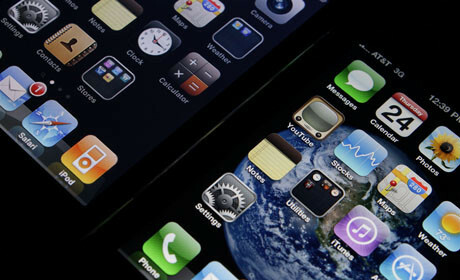 Those who already have an iPhone will be issued with a pack of recommended apps. "The intention is that it is in their pocket for the whole year," Horsman added.